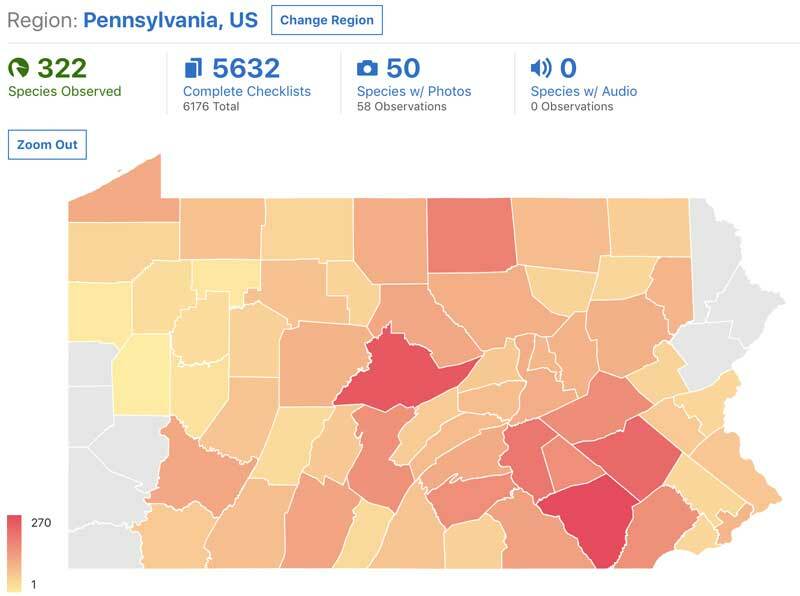 eBird is slowly and steadily becoming the go-to bird observation collection tool for birders around the world, and has reached this point by regularly releasing new tools to see what others are reporting, compete with your fellow birders on any geographical level, and learn all about ranges and distributions of birds on a global scale. While it has been game-changing to have access all this data flowing in, one missing piece has always been figuring out exactly who the birders are behind the reports. Knowing more about the person reporting a bird is particularly useful when it comes to following up on rare bird reports. eBird profiles are currently in testing for eBird Partners (partners donate for early access to new features) and are about to launch for everyone who opts in sometime soon. 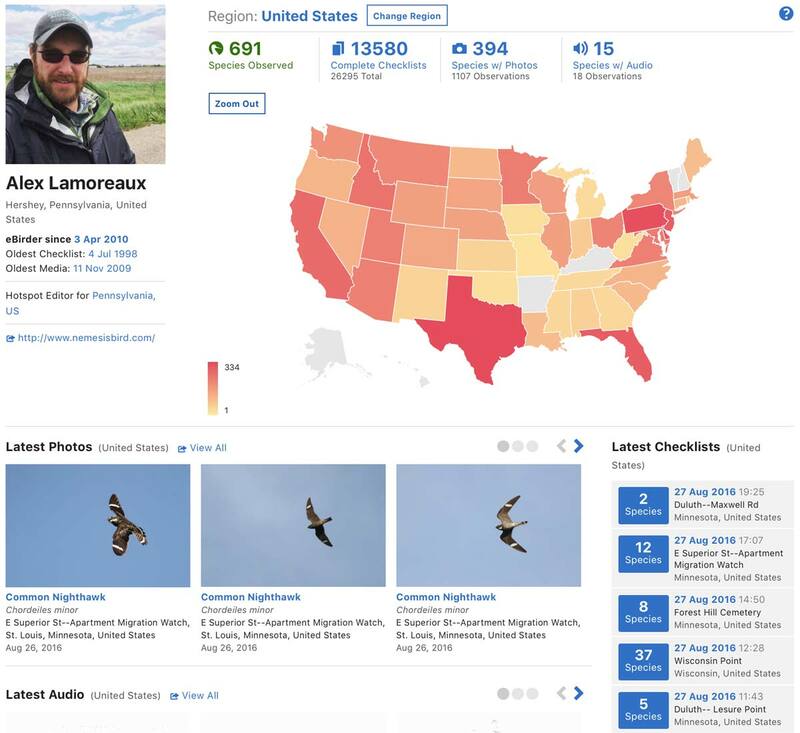 Once launched, anyone logged in to eBird will be able to explore the profiles of other users who have set up their profiles. 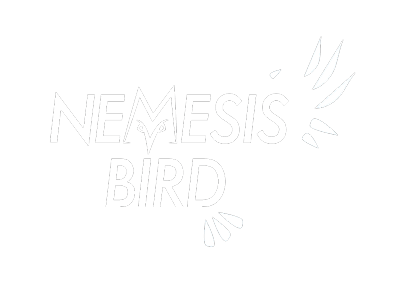 It is an opt in system, meaning that no one else can view your profile until you set it as public, and people without eBird accounts will also not be able to view any eBird profiles. Additionally, I believe that users who have set themselves up as ‘Anonymous eBirders’ will not be able to publish profiles, which makes sense if they desire to maintain some level of anonymity. There are a couple features that I am particularly excited about, beyond just the ability to learn a bit more about all the eBirders whose sightings I see popping up on my alerts. 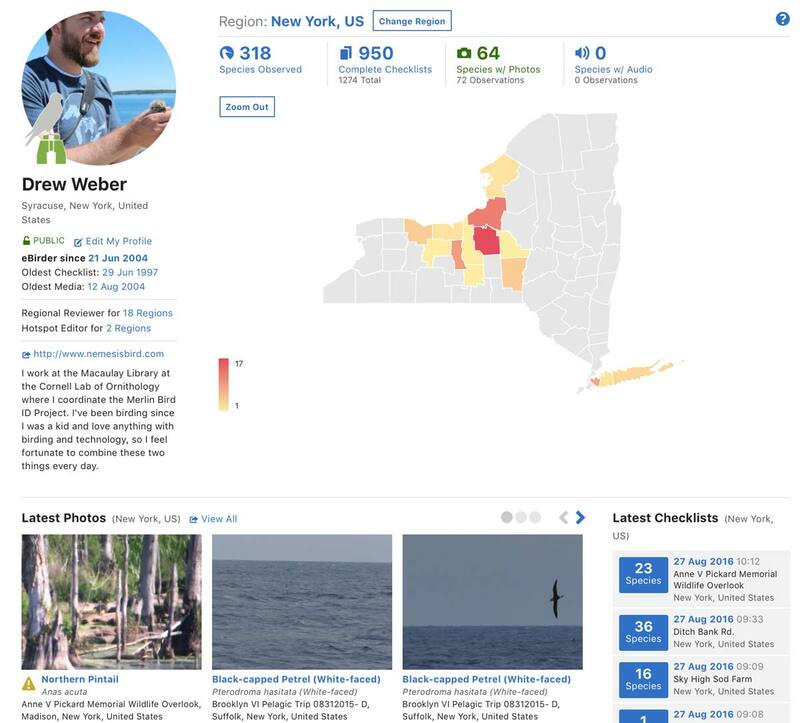 eBird also adds several additional interesting facts to each profile including how long you have been an eBirder, a link to your oldest checklist and a link to your oldest photo or sound. This provides a seriously compelling incentive to go back and upload your historical sightings and media to eBird. 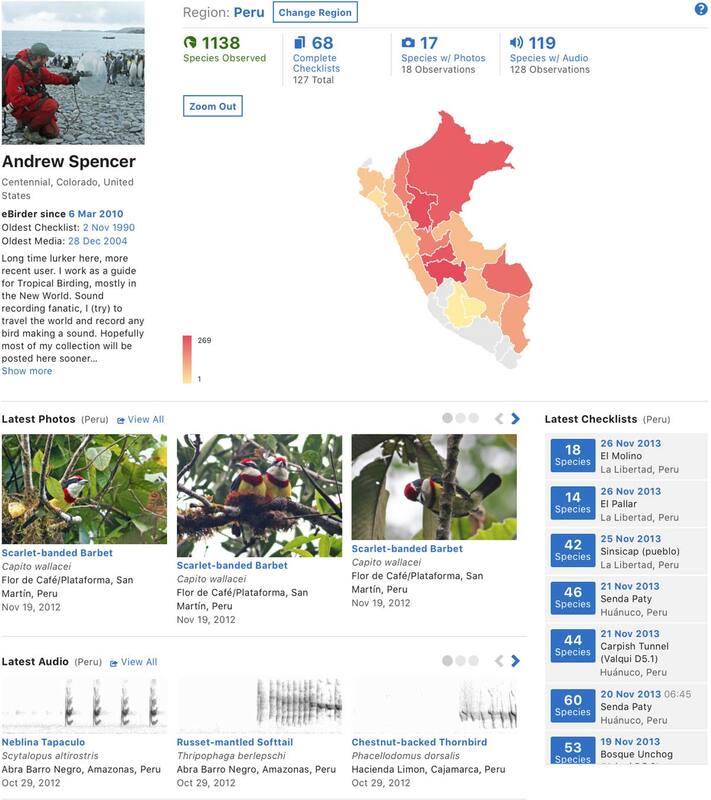 One of the most exciting things I am looking forward to are the heat maps that show how many species, checklists, photos or audio recordings you have contributed in a particular region. This is something I have done on my own in the past, but it was always a bit time consuming. Having it readily available for every region of the world, so I can check updated numbers on a whim, is amazing. You can quickly expand out to the world or zoom in to a country, state or province to get a detailed look at your birding effort in each region. In addition to being fun to look at, it is also very motivating to see where I have put in the most and least amounts of effort, what regions of the state/country/world I have birded in, and where I need to go birding to fill in the holes I have in different regions! The photo and audio map views will also be great incentive for me to upload all my old images through the new eBird Photo Upload and to go out and get more audio recordings. I also imagine that this will encourage eBirders to upload more images of common species, rather than the current focus that seems to be mainly in two categories– nice shots of highly photogenic birds, and photos documenting rare birds. While submitting a House Sparrow photo for each county in your state may be an extreme example, an extensive collection of photos of all species across the entire year, and from its entire range is desirable for many of the goals of the Macaulay Library. MerlinVision, a project I am involved with, needs thousands of images of each species to train computer models to identify birds in photographs. So encouraging eBirders to submit more photos will definitely benefit that project. The final pieces of the new profile are optional, allowing you to display your most recent photos, audio, and checklists for the selected region. This section showcases your latest contributions for each type of submission and really emphasizes that each of these types of data are valuable. The images change as you select different regions and are a nice way to explore a few of that users contributions. 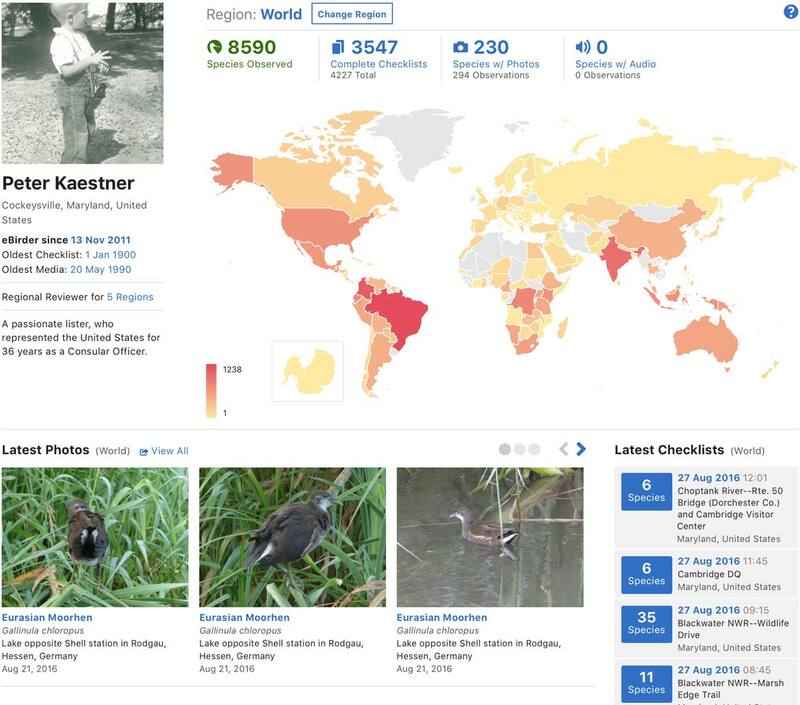 Check out some of these examples below showing screenshots of a few eBirders who already have profiles set up to preview how great the profiles will work on different levels. What are you most excited about with the release of profiles?